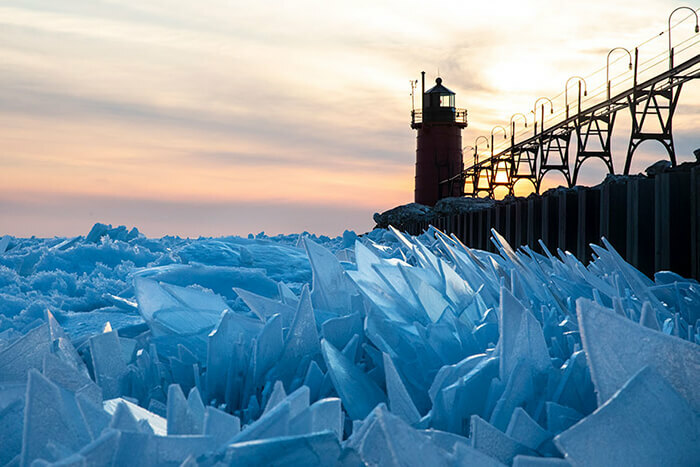 When the spring is finally upon us and we can say good-buy to the snow and ice, one of our Editor decided to wrap up some incredible winter photos to commemorate the harsh winter. 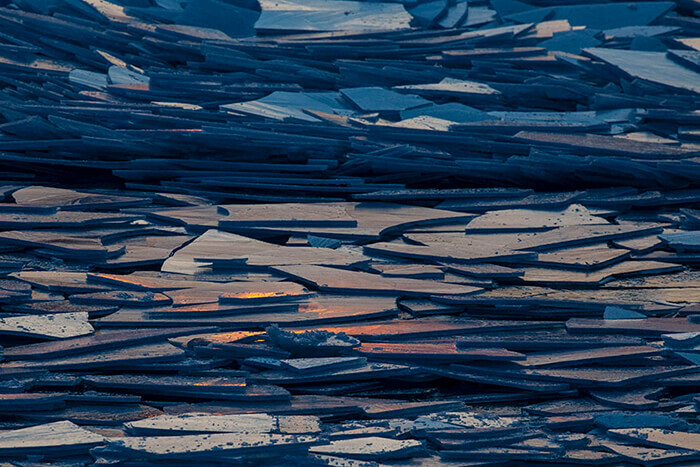 Below are some stunning photos from AP Images, documenting some unreal scenes of frozen Lake Michigan shatters into millions of pieces. 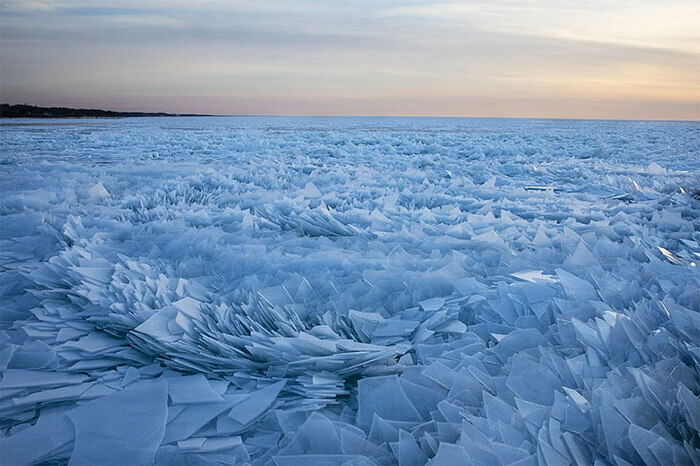 You might already knew that polar vortex has kept Lake Michigan frozen for the most part of winter. But everything eventually comes to an end. 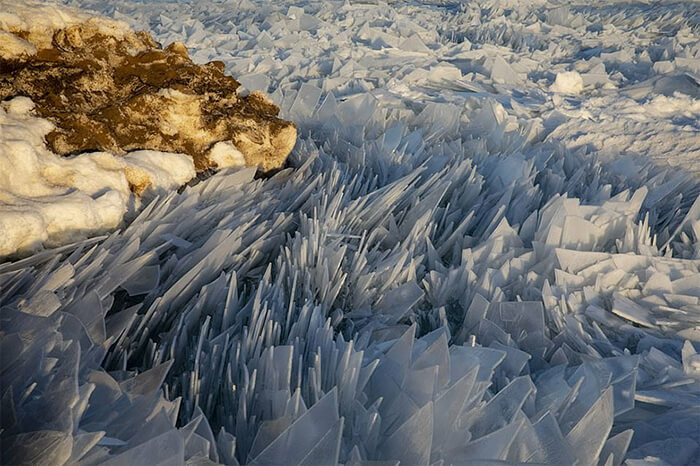 Spring is bringing warmer weather to the area and starts to destroy the ice and transform the region into a magical wonderland. 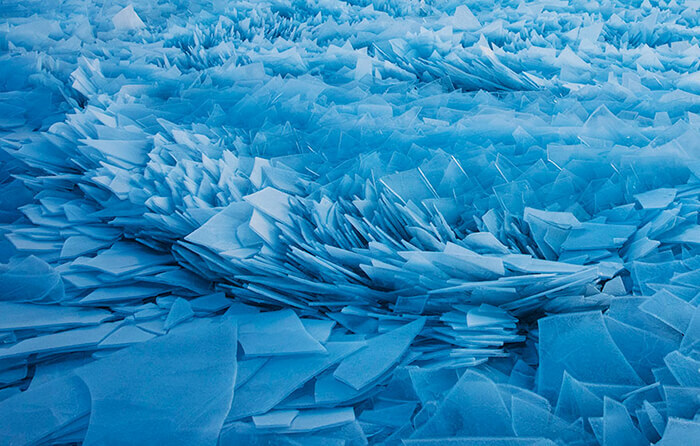 Moving water underneath the ice is pushing the sheets to the surface, shattering them into mesmerizing patterns. The scene looks phenomenon and so unreal, just like something in science fiction movie. 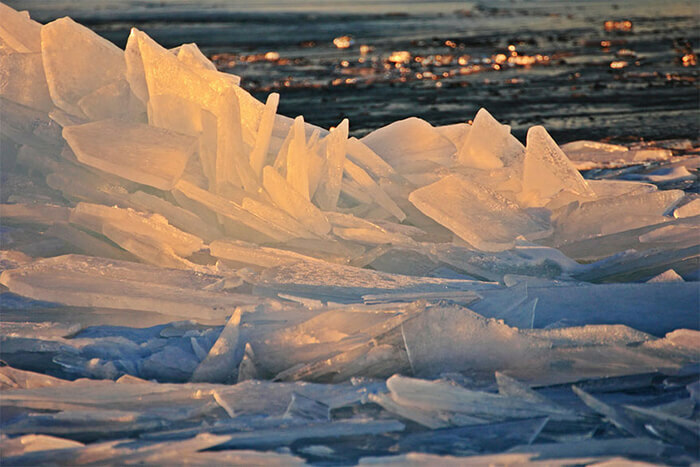 But these are actually happening and US Coast Guard has warned that the ice should only be viewed from afar, as it is dangerous to stand or walk on the unstable surface.